Reports have revealed that Saba Qamar, who is currently shooting the last spell of Wajahat Rauf’s Karachi Se Lahore sequel Lahore Se Agaey, has also signed her debut Bollywood movie alongside internationally acclaimed Indian actor Irrfan Khan. Social media is buzzing with their first behind the scene pictures. The film, which is being directed by Sakat Chaudhry, the name behind Pyar Ke Side Effects and Shadi Ke Side Effects, is situational comedy and based on social issues. 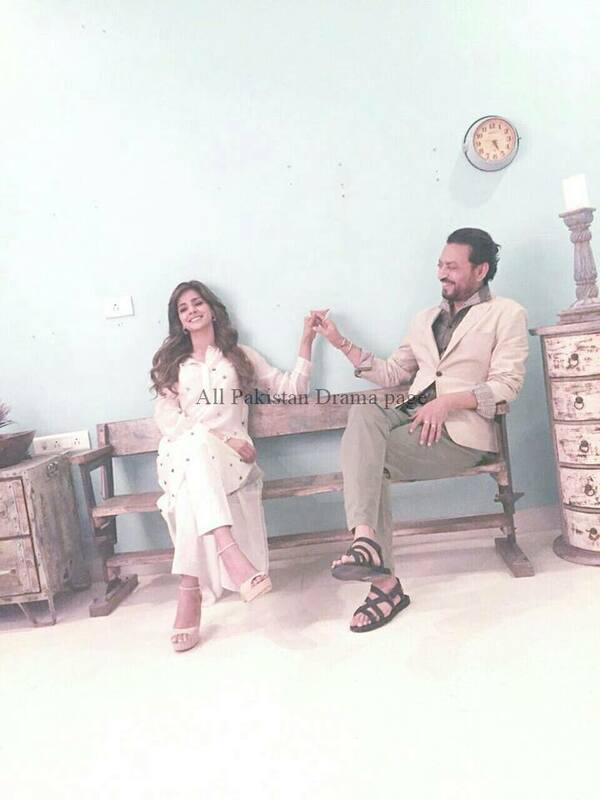 Saba Qamar will be playing the role of Irrfan Khan’s wife. Saba Qamar will be flying to Mumbai in July for a workshop which will be followed be the shoot.